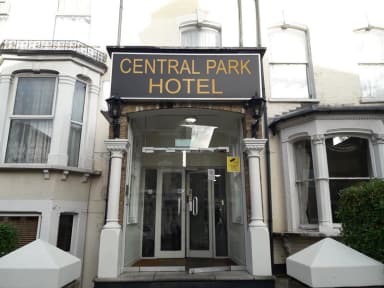 Central Park Hotel is under new ownership and management from 30th October 2017. We offer en suite rooms and a large secured car park. Complimentary continental breakfast is included with both basic and non-refundable rates and it is served in hotel’s restaurant from 7.30 AM – 10 AM. The property is overlooking a Victorian park with boating lakes, picnic area and a cafe. Central Park Hotel is 400 metres from Finsbury Park Tube Station and a 20-minute walk from The Emirates Stadium, home of Arsenal F.C. The nearest underground stop is Finsbury Park, London underground zone 2. The nearest tube station is served by Victoria and Piccadilly lines, with Kings Cross Station just 2 stops away. Overground and underground stations are 400 metres away. London buses run regularly from outside of the hotel to Camden Town and Central London. Rooms at are decorated in light colours and feature TVs. 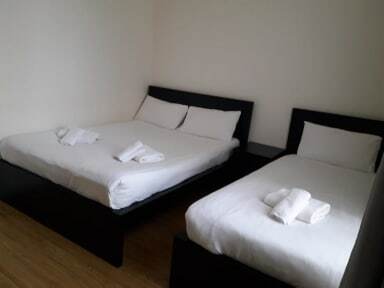 We offer double, twin, triple and family rooms. Check in from 14:00 to 06:00. Check out from 01:00 to 11:00.